The GNGU Closed was held on 14 April 2019 at Services Golf Club. Jacques van Tonder successfully defended his GNGU Closed title on a great score of 139, 5 under par. A big thanks must be extended to Services Golf Club, their Committee, Management, Staff and Members for giving up their course for the day. The course was in a good condition and all the players enjoyed their day out. Congratulations and thanks to all players for participating in this event. CLICK HERE for the final results. 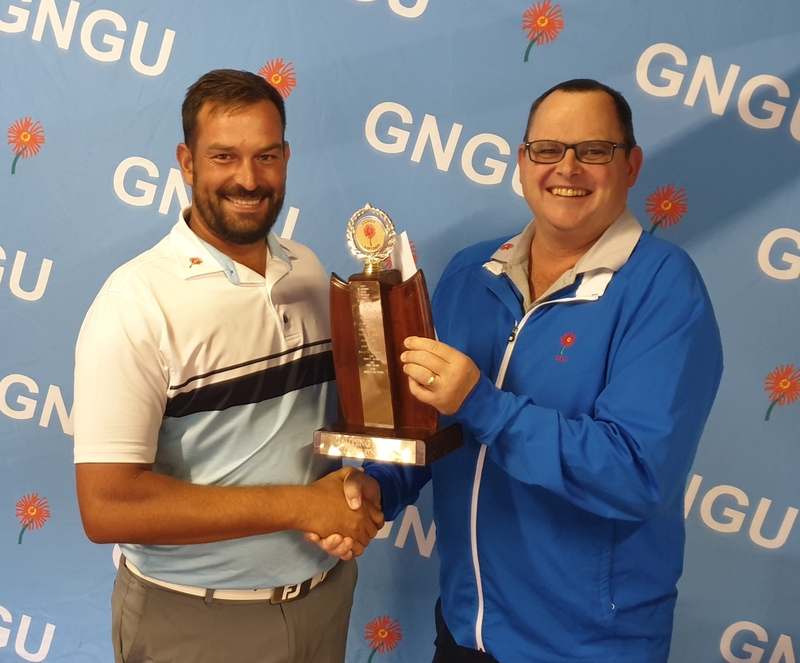 Pictured above 2019 Champion Jacques van Tonder with Vice-President, Paul Davel. This entry was posted in Golf News on 14/04/2019 by Morné.